White Collar Crime in Georgia--A Blog By The Goolsby Law Firm, LLC. (706) 863-5281: LAWYER UP AND SHUT UP! LAWYER UP AND SHUT UP! Let's assume, hypothetically, that you have been approached by a federal agent who wants to interrogate you about alleged crimes. Do you know which Amendments to the Constitution guarantee your rights to "lawyer up and shut up?" The Sixth Amendment has been interpreted by the courts to guarantee you the right to counsel. 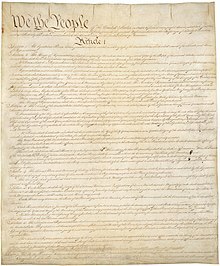 These are the important Constitutional Amendments and rights which allow each of us to "lawyer up and shut up!"